As an educational institution with a focus on contemporary art, Bainbridge Island Museum of Art’s mission is to engage a diverse population with the art and craft of the northwest region. What started as a project to fix some shortcomings with the AV system in the museum’s auditorium turned into a considerably larger project that, in the process, brought additional capabilities to the facility—thanks to ASPEN Series audio processing equipment from Rio Rancho, NM-based Lectrosonics. Seattle, WA-based CRC Technologies, an AV systems design / build firm with a focus on medical/dental facilities, houses of worship, live event venues, and meeting facilities, was initially contracted to make some enhancements to the existing AV system, at which point, the project took a decisive turn that enabled the museum to gain far greater capability from its investment. 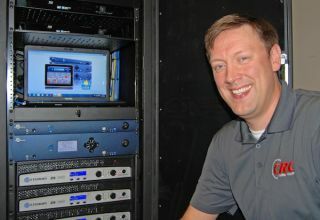 Jay Nichols, manager of the AV Division at CRC Technologies saw the system’s potential—if he could convince his client to invest in some additional equipment, which ultimately included a Lectrosonics SPNDNT Dante capable DSP mixer / processor and two DNTBOB 88 breakout boxes to augment the capabilities of the ASPEN SPN2412 24-input audio processor already in their possession. Nichols discussed the project.